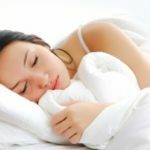 With so many worries we have for our children, we never expect that their toys could be the culprit of recurrent ear infections or hearing loss. The University of California did a study that found that a significant number of children’s toys could actually be as damaging as the noise from a dishwasher, lawnmower, subway, and even chainsaw. Toys as loud as the chainsaw, really? How can this be? Aren’t there regulations in place to ensure the safety of our children’s products? Yes, there are. Toys are approved, researched, and proven safe before being released to our children. However, even approved sound-making toys can be damaging if held too close to the ear. For example, at a one-inch range, Tickle Me Elmo is equivalent to 100 decibels, andthe VTech V.Smile Baby is 103 decibels. In comparison, a motorcycle, jet takeoff, and jackhammer all operate at 100 decibel level. Although it is hard to imagine that a children’s toy could equate to a motorcycle, the decibel is a measure of the intensity of sound, including both loudness and closeness of source to ear. Thus, while a motorcycle is typically louder, a child putting a toy directly up to their ear, within an inch or two, creates the same sort of effect on the eardrum. There are a few things you can do to protect your child’s ears without denying them their toys. 1. Observe your child. Watch to see how your child is playing with the toy. From an appropriate distance, the toy should not cause any harm. If your baby puts the toy up to his/her ears or face, you should find another appropriate solution. 2. Listen to toys before purchasing them. If the sound hurts your ears at any range, it should not be purchased. If the sound hurts your ears after fifteen minutes of use, it could also be harmful. If your child really loves a loud sound-maker, you can usually remove the batteries or flip the “music” switch to disable the noise. 3. Limit time usage. You do not need to deprive them of a loud toy entirely. Limit the usage of the toy to five or ten minutes. While the ear is incredibly sensitive, prolonged exposure to loud sound is significantly worse than a few minutes here or there. 4. Ear Protection. 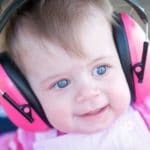 Both ear muffs and baby earplugs are the best solution to protecting your child’s ears while they play with their favorite toy. There are plenty of comfortable and safe kids’ ear protection options out there, so if you know your child will be playing with a loud toy, you can easily put a pair of earplugs in their ears so you don’t have to worry. 4. Visit your doctor. Be sure to bring your baby for their necessary checkups at the doctor, and consult the physician about hearing tests and the signs and symptoms to watch for. You do not need to avoid sound-making toys altogether in order to protect your baby (although it would keep a nice, quiet house). Just be aware of your child’s play habits, the signs of hearing loss, and always keep a pair of child earplugs on hand. Just remember that if the toy is too loud or bothersome for you, it is too loud for your child as well.